Far left criminals destroyed the golf greens at Trump National Golf Club in Los Angeles, California over the weekend. 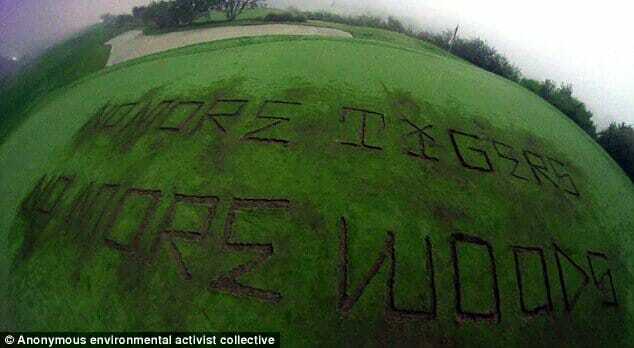 Radical environmentalists carved a a deep message in the greens with gardening tools. The vandals wrote, “No more tigers, no more woods,” in giant letters on the fifth green of the Trump National Golf Club in Rancho Palos Verdes, California. The criminals even posted the video online.